What better way to travel in the industrial town of Scunthorpe than by riding a scooter? Although most people prefer using public transport, scooters are an excellent alternative for several reasons. If you’ve never thought about owning a scooter in Scunthorpe, here are reasons why you should. Faster in Traffic: You can easily pass through narrow gaps in traffic because scooters are small and clutch-free. Parking: Scooters can be parked almost anywhere. Thus, you can spend less on parking. 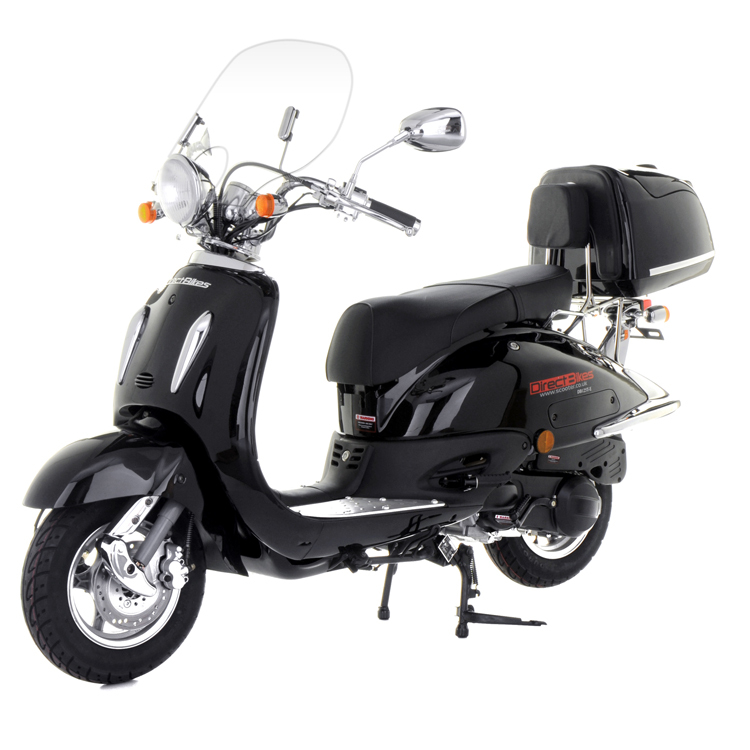 Price: Scooters are very cheap; you can get one of our 50ccs for as low as £999. Also, the cost of maintenanceis low. Fuel Economy: Scooters are very fuel-efficient, so you can ride any of our 50cc and 125cc scooters for days before you need to refill them. Price: To ensure that our scooters are available at the lowest possible prices, we get them directly from the manufacturers. Financial options: Also, we understand that you might not be able to pay at once, so we offer a variety of payment plans. Insurance: We also offer to compare the insurance market to get you the cheapest insurance deals. Design: Because we pay attention to your taste, we offer a wide range of colours and designs. So you’ll definitely find one that appeals to you. Although we have no dealerships in Scunthorpe, we can deliver your scooter regardless of your location. Just fill in your delivery details when making payment. We’ll use the information to determine the best date and time for your scooter delivery. Order one of our scooters today and cruise easily around Scunthorpe!